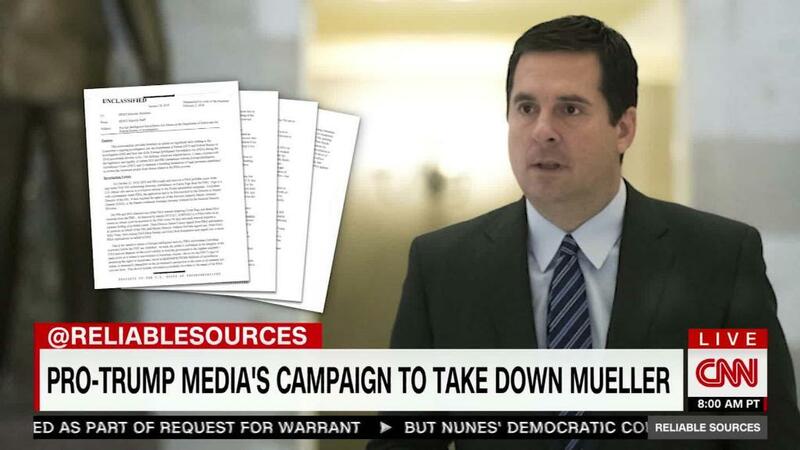 On Sunday's "Reliable Sources," host Brian Stelter said GOP-Rep. Devin Nunes' intelligence memo hasn't just divided politicians -- it's created a deep fissure within the American media. The memo in question, which was released to the public Friday, accuses the FBI of abusing its surveillance authority while investigating potential ties between President Trump's campaign and Russia. "Let's be honest," Stelter said. "This week, Sean Hannity won and the rest of America lost." Fox New's Hannity won, he said, because coverage of the memo confused the public and distracted from serious questions about Russian interference. Pro-Trump TV and radio hosts have "circled the wagons around President Trump" and "distracted people from the truth about Trump's Russia ties," he said. However, the actual memo did not live up to Hannity's "Watergate times 1,000" hype. Stelter said Hannity is now promising further revelations, while his rivals on MSNBC are "already making fun of it." CNN reporter Hadas Gold told Stelter on "Reliable" that the "memo has reminded me of sometimes when you go to museums in other countries, and they portray a war that we learned about from the other side, and you just see these two alternate realities." Julia Ioffe of The Atlantic agreed with Gold, saying "people feel like they're tuning in, in the middle, and they've missed the first three episodes of the season." "People are just getting, I think, the overarching narratives from their side, from the media that they watch, that they believe," Ioffe added. Some of the confusion comes from complex and dueling narratives about who and what should be investigated. Stelter said America is "one country" with "two narratives." Meanwhile, Trump is locked in a standoff with his own FBI -- and Americans who tune into Fox News are being told to question the agency's integrity. David Zurawik, a media critic for The Baltimore Sun, said the right-wing media is floating conspiracy theories that are becoming talking points for politicians. "I think we are in an incredibly dangerous place right now," he said, adding he was "shocked at the traction this Hannity narrative has gotten." Gold added that the FBI vs. conservative narrative was "stunning." "Typically the conservative party and the Republican party have been so supportive of the FBI and what they do," she said. "We've flipped it on its head."